MYKAD SDK is for DEVELOPERS only! It's a standard windows DLL with API calls. For example Function getIDNum(), getKPTName(), getGMPCName() and getBirthDate(). Simple and easy to use. Suitable for DESKTOP and WEB APPLICATION (Microsoft Internet Explorer only!). Programming language VB6, .NET, Delphi, Foxpro, PHP, ASP, ASPX, etc.. If you already have MYKAD reader, get our MYKAD SDK and ready to test it. If you have problem from your previous vendor due to Windows Upgrade, do contact us. We are developers and we keep our SDK up to date. 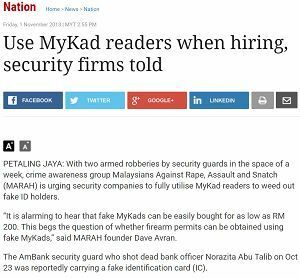 You may use your existing MYKAD Reader if it's PC/SC compliance. No worry, we could test your reader compatibility. Click here for MYKAD SDK API list and sample code. 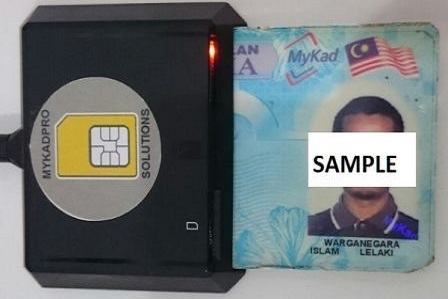 FT SCR301 MYKAD reader is designed for various usages of smart card applications, acceptable for both SIM size cards and full credit card size cards. Be ISO7816 compliant and T=0/T=1 asynchronous protocol support. FT SCR301 is applied to any computer with an available standard USB port. PC/SC standard. Plug and Play. NO driver installation required. Suitable for our MYKAD SDK - UNLIMITED customers. 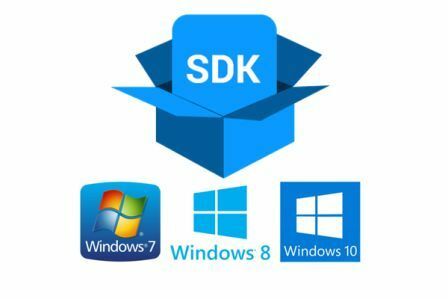 You need SDK and developers to make it work! MYKAD SDK is for DEVELOPERS only! We are providing you with the most cost effective pricing for a small project size between 1 to 10 units of MYKAD Reader stations. The package of MYKAD SDK and FT SCR301 reader ready for your system development and implementation. If you have nothing, this package is for you. If you have no development budget, we are giving FREE MYKAD SDK for testing. It's easy to use and ready sample source code to follow. You could use our online sample app for your web application development as guideline. Ready to use DESKTOP application. 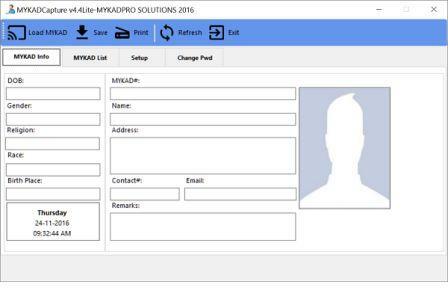 MYKADCapture is a flexible application where MYKAD Info captured can be used for many purposes. What's so special about this? This application developed by taking advantage of multi-threading where multiple processes run concurrently and making your application runs SUPER FAST. Additional features: Check IN, Check OUT and Transaction Report. FREE MYKAD Reader! Suitable for Marketing Companies whose do not have application developers. License Key is NOT Transferable between PC. New installation required NEW license key. Ready to use DESKTOP application. 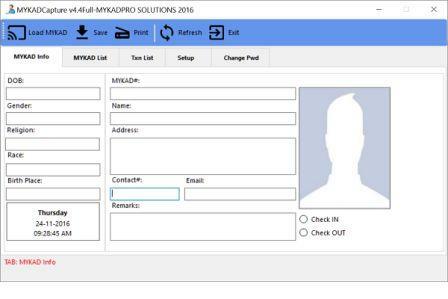 MYKADCapture Lite is a flexible application where the data captured (MYKAD Info) can be used for many purposes. It's identical with MYKADCapture full version but WITHOUT Check IN and Check OUT functions. Suitable for seminar or event management to log participant attendance. It's half price and good enough for daily usage. 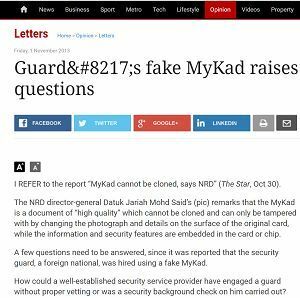 FREE MYKAD Reader! You don't have to worry about developers. Check out the screen above for fields to be captured. License Key is NOT Transferable between PC. New installation required NEW license key. 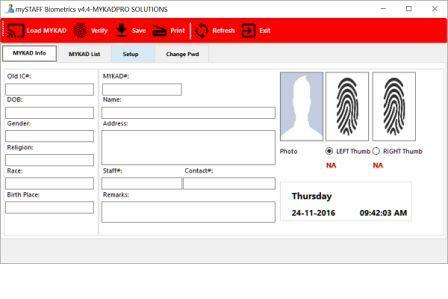 We provide BIOMETRICS MYKAD SDK for Software Developers to read MYKAD owner's personal information and verify thumbprint. It is soo flexible and easy to use. You don't have to know low level smart card command. Our BIOMETRICS MYKAD SDK use to verify LEFT and RIGHT thumbprint with simple API call isVerifyLeft() and isVerifyRight(). It's FAST. Below 3 seconds! 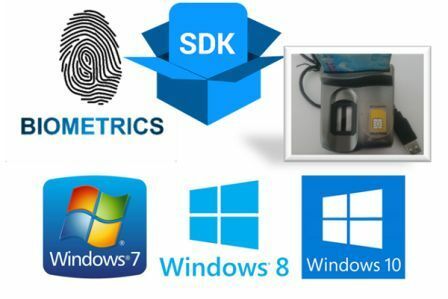 BIOMETRICS MYKAD SDK comes with BIOMETRICS MYKAD Reader! Web and Desktop application support! Widely used by banks and government agencies. Request for DEVELOPMENT/TESTING License Key if required. License valid for 5 days only! You concern about SECURITY and need to keep staff profile records? We have ready to use DESKTOP application. mySTAFF is a flexible application where MYKAD Info captured can be used for many purposes with additional LEFT and RIGHT thumbprint verification. You could SAVE and PRINT it for future reference. Suitable for SECURITY companies when recruiting new staff, INSURANCE companies to verify your clients, and many more which required higher security verification. BIOMETRICS MYKAD Reader included. You have the hardware and software. Ready to go! Suitable for Security and Insurance Companies. Telco start using our application as well. License Key is NOT Transferable between PC. New installation required NEW license key. Ready to use DESKTOP application. Identical to mySTAFF full version but without SAVE function. Normally use by HR department to verify new staff. You are able to verify LEFT and RIGHT thumbprint. PRINT and get new staff signature for future reference. It's easy to install and easy to use. No additional cost and its cheaper by one thousand ringgit! Widely use nationwide in banking, school, universities and transaction based process. SECURITY is your priority? Get this installed at your HR department PC. BIOMETRICS MYKAD Reader included. Suitable for Manufacturing companies to verify MYKAD and MYKAD Holder Information. License Key is NOT Transferable between PC. New installation required NEW license key. MYKAD SDK is for DEVELOPERS only! It's a standard windows DLL with API calls. For example Function getIDNum(), getKPTName(), getGMPCName() and getBirthDate(). Simple and easy to use. Suitable for DESKTOP and WEB APPLICATION (MS IE only!). 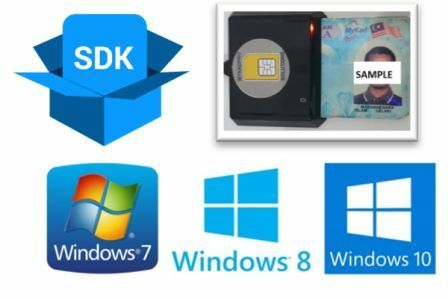 Programming language VB6, .NET, Delphi, Foxpro, PHP, ASP, ASPX, etc.. FREE to distribute the DLL and embedded into your application. Suitable for SOFTWARE HOUSE with MYKAD integration or MYKAD based project which required more than 10 unit installations for easy maintenance. GOOD NEWS! OPENWEB MYKAD SDK is ready for web developer. UNLIMITED license only. OPENWEB MYKAD SDK is a software development kit for Chrome, Firefox and Internet Explorer. Now you can develop a web page and call MYKAD Information automatically using your customer web browser preferences. Easy to use, install and configure. MYKADPRO OPENWEB is open for any PC/SC MYKAD Reader and commonly use web browser. Suitable for SOFTWARE HOUSE. mySolatime adalah product untuk kegunaan Masjid/Surau bagi memaparkan waktu solat, maklumat terkini atau pengumuman kepada ahli jemaah. Ianya amat mudah digunakan. Dapatkan software kami jika anda sudah ada PC dan TV. 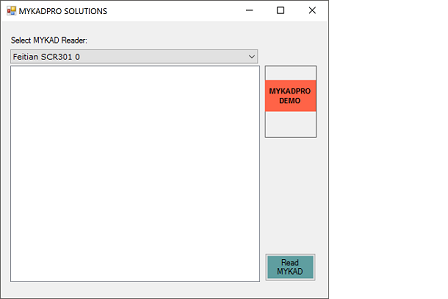 MYKADPRO DEMO application for you to test your PC/SC compliance MYKAD Reader. Download it. Extract and run. You can see how small our app is. Required .NET Framework 2.0 and above. We call most of the API available in our MYKAD SDK and implement it here. You could see how easy and simple it is to integrate with your application. It's newly compiled using MS Visual Studio 2015 Community Edition. You do not have to worry about Windows 10 upgrade anymore. We are developers and we keep our product up-to-date!